• DMX styret 4 kanaler/musikstyret via indbyg mic. 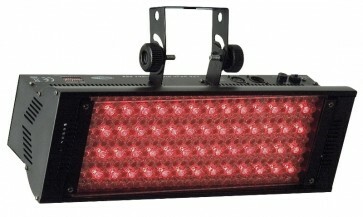 The Showtec LED Wash Ultra Bright RGB can create colourful light scenes. This RGB LED Floodlight is suitable for stage, clubs and other venues.